The Miss Grand International 2013 winner has been chosen during the pageant's coronation night held at the Impact Arena in Bangkok, Thailand on Tuesday, November 19. Miss Puerto Rico Janelee Chaparro beat out over 70 other lovely candidates from all over the world to take home the title. As winner of the pageant, the 22-year-old former Miss World semifinalist received $30,000 cash prize and a 1-year stay at a condominium in Thailand. 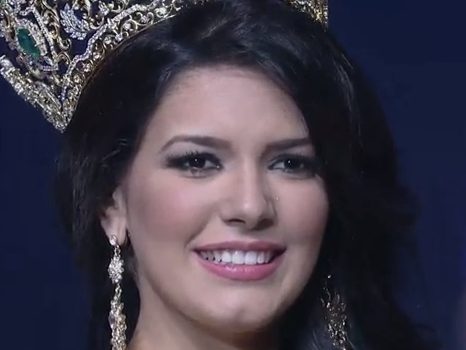 Coming in second place was Miss Dominican Republic Chantel Martinez while was Slovak Republic Denisa Paseciakova third. Miss Philippines Ali Forbes and Miss Australia Kelly Louise Maguire were fourth and fifth, respectively. Rounding off the Top 10 were Brazil, Cuba, Latvia, Sri Lanka, and Venezuela. This is the first edition of the pageant, which aims to become the world’s leading international beauty contest under sponsorship from governments and organizations that will make a stand for the betterment of humanity.